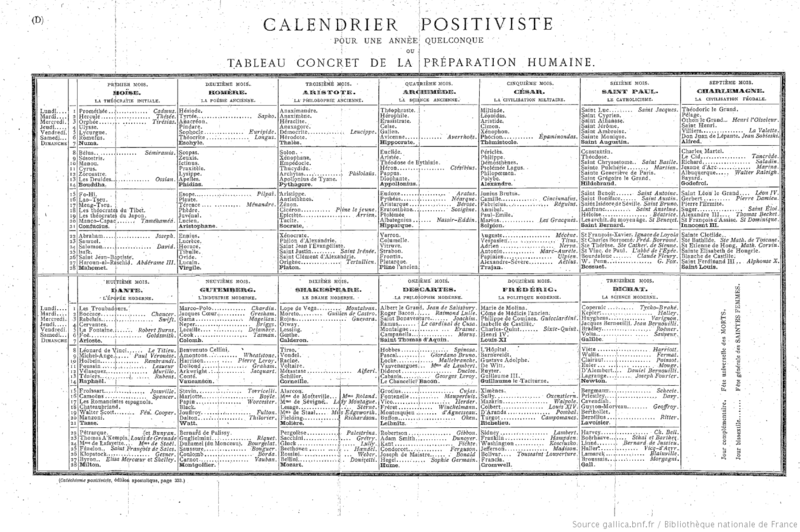 The positivist calendar was a calendar reform proposal by Auguste Comte in 1849. Revising the earlier work of Marco Mastrofini, or an even earlier proposal by “Hirossa Ap-Iccim” (=Rev. Hugh Jones), Comte developed a solar calendar with 13 months of 28 days, and an additional festival day commemorating the dead, totalling 365 days.